Super cute sleepwear from our Loungeable range. Navy paw print teddy romper. 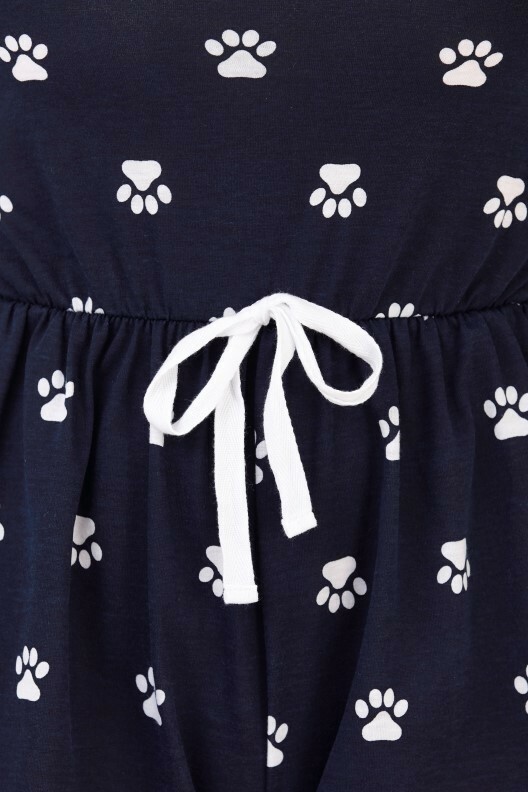 Featuring all over white paw print, adjustable straps and white drawstring tie waist. Made from 65% polyester, 35% cotton.